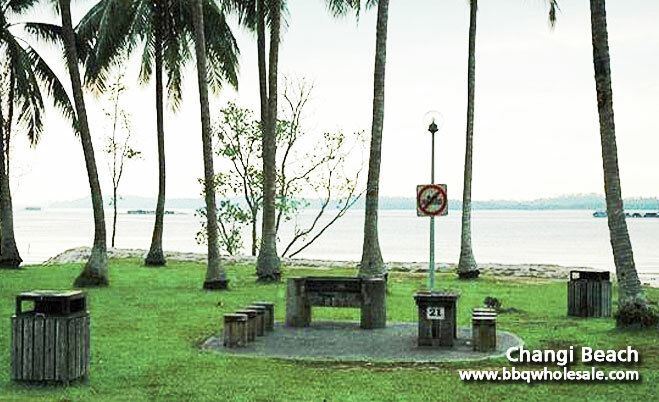 BBQ has always been a popular activity among Singaporean especially those staying at the East; due to the availability of many bbq facilities located at the nearby beach as well as bbq friendly chalets. 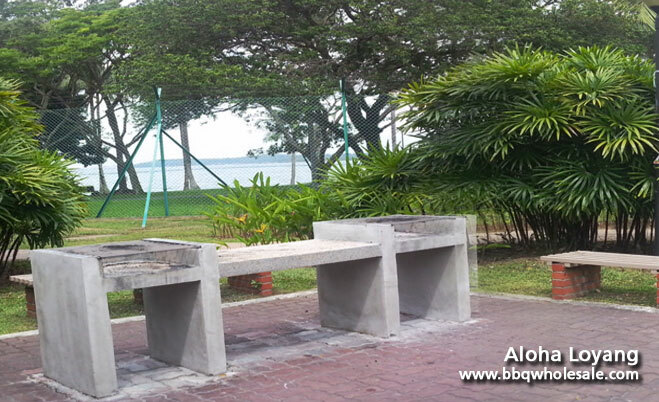 Booking of BBQ Pits at Parks and chalets are very convenient, which make hosting of bbq party the number one choice for most Singaporeans! Be it Birthday Parties for kids or adults, Anniversary celebration, family gathering and even corporate gathering; 80% will definitely choose BBQ to cater to their hungry guest! Find it troublesome to lug all the heavy food to your BBQ location? 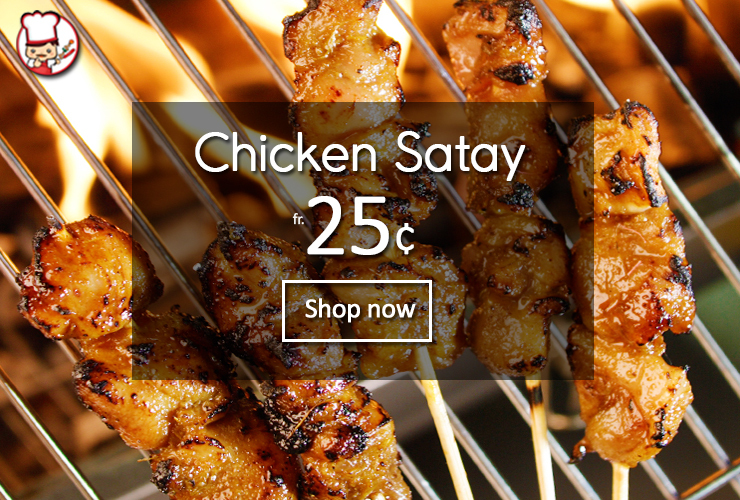 No problem at BBQ Wholesale Centre, in-house delivery is available for customer. BBQ lovers can choose to have food delivered all the way to their bbq pits at the park! Hosting BBQ Party can never be easier, BBQ Wholesale Centre solve all the problems for consumer, making it Convenient and easy for everyone to host barbeque party! 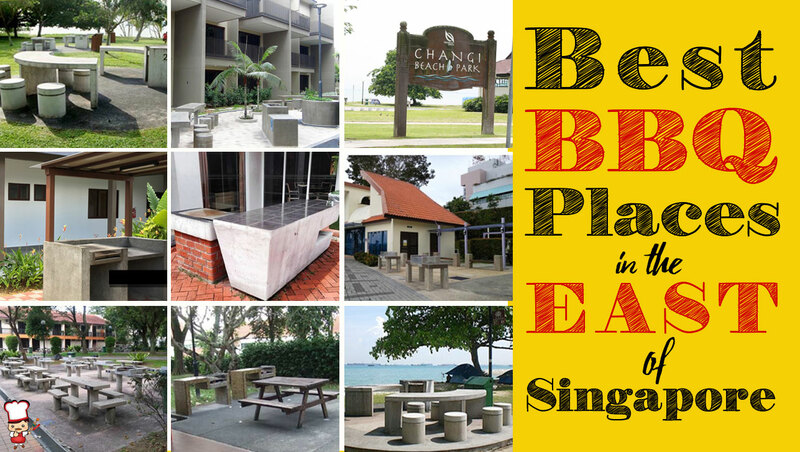 So here’s a list of 10 most popular BBQ locations you can book in the East of Singapore! Known as one of the most popular hangout beach in the East! Practically everyone who lives in Singapore has been here before. 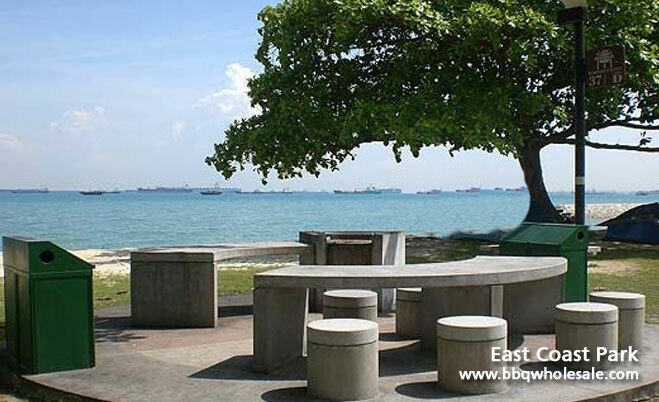 For the past years, East Coast Park has been increasing its facilities, that is sure to fit all adults and children. Some activities include bowling, cycling, rollerblading, waterboarding, prawning, etc. 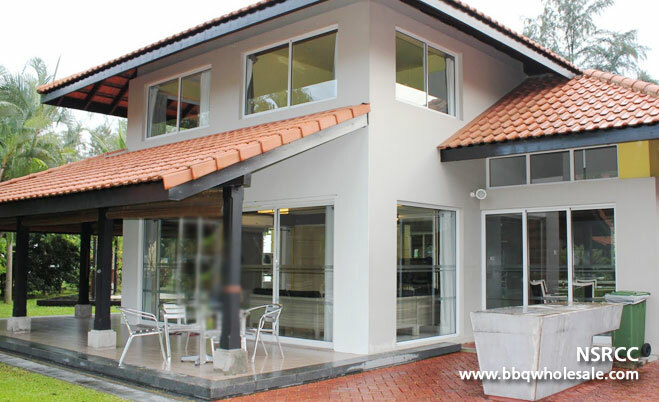 With popular resort such as National Service Resort & Country Club (NSRCC) Chalet conveniently located near East Coast Beach, it has top most popular bbq spot for the East-siders! 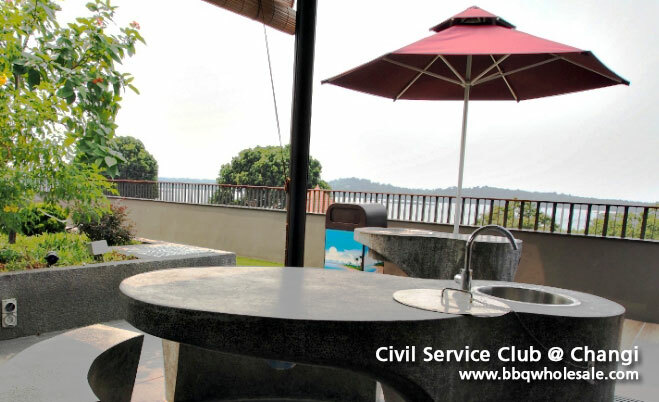 NSRCC is a golf and country club complete with subsidised bungalow chalets to recognise the contributions of operationally ready SAF NSmen, SAFRA members. 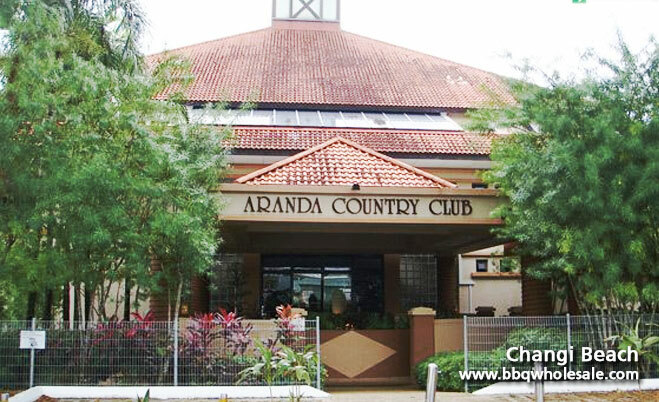 Like all other country clubs, its facilities include bowling, karaoke, arcade, pool table, sea sports centres and golf facilities. Their prices are very reasonable too. For instance, a small room for karaoke would cost you about S$10 per hour, exclusive of 7% GST. The room capacity would fit four to six per room. Do not expect the best sound quality, but is pretty good for the price your paying! 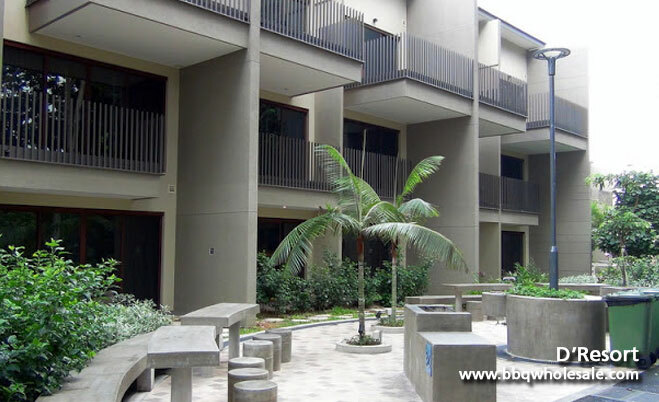 If you are looking for a spacious location to host parties or bbq gatherings, NSRCC is your place. It is easily accessible, take the MRT to Tanah Merah MRT stop and free shuttle bus service is available directly to NSRCC. Chalet reservation is available as early as five months for non-members or six months for members. There is a minimum requirement of at least two nights booking per reservation. NSRCC would be slightly more expensive during peak periods, such as weekends or school holidays. It would be good if you have friends or family members who are SAFRA or resort members. Get them to book the bungalows at a cheaper rate. There is a total of two spacious rooms and toilets in the two storey bungalow. Resort bungalow is well-equipped with the basic facilities and renting of mahjong tiles and tables are also available. For parties or gatherings, NSRCC allows rental of tables and chairs at a low cost. Having sleepovers and not enough rooms? Not to worry, request for mattresses and blankets are just a phone call away too. 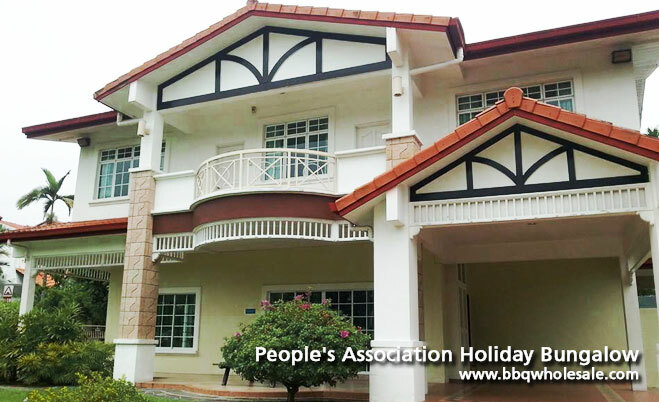 Newly refurbished Changi Clubhouse, is a great place for family staycation or hosting of BBQ parties. After being closed for two years for renovation and redevelopment works, Civil Service Club Changi reopened its door last May. It has tripled in size, with 25 resort-style suites and villas, complete with modern recreational facilities that perfectly suits the lifestyle needs of all its guests. It even offers premium accommodation as well as a 5-storey sports complex – suitable for families and all ages! With the opening of D’Resort last year, marks the completion of Phase One, wWhile Phase Two project is still underway, guests can make use of F&B, retail and Wild Wild Wet facilities at Downtown East. D’Resort provides a close to nature staycation with an enjoyment of modern and convenient facilities at your doorstep. With a total of 387 contemporary resort rooms across nine room types satisfying every guest for any occasions. However remember to book your bbq pits early as there are limited barbecue pits available. Minimum of two nights per reservation. Situated along Pasir Ris beach, there are 38 chalets ranging from 2 to 4 bedrooms with Pool or Sea View terraces, Garden orSea View Bungalows and Garden Terraces. 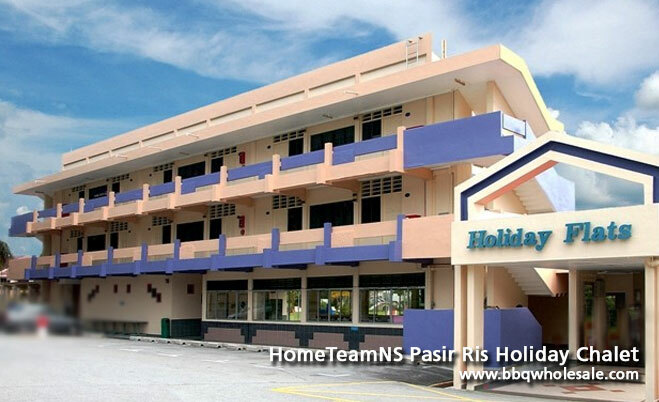 Chalet facilities include a pool, jacuzzis, tennis courts, arcade, children playroom as well as within walking distance to Pasir Ris beach. Each chalet is equipped with a BBQ pit and full kitchen facilities. 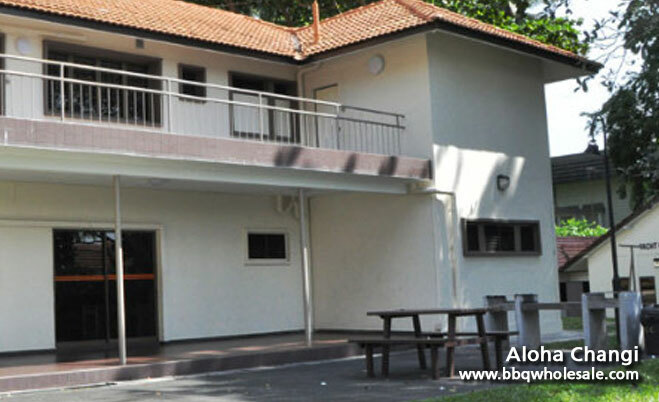 Aloha Loyang is suitable to host large scale bbq gathering or corporate event for 20 to 40 guests. Room prices are slightly pricier than other chalets. 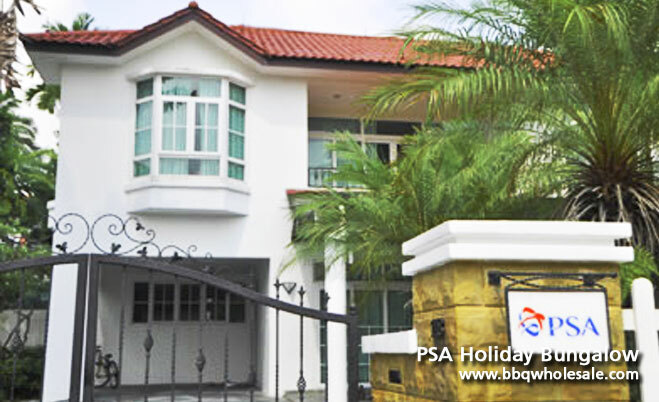 Address: 60 Pasir Ris Drive 3, Singapore 519497. 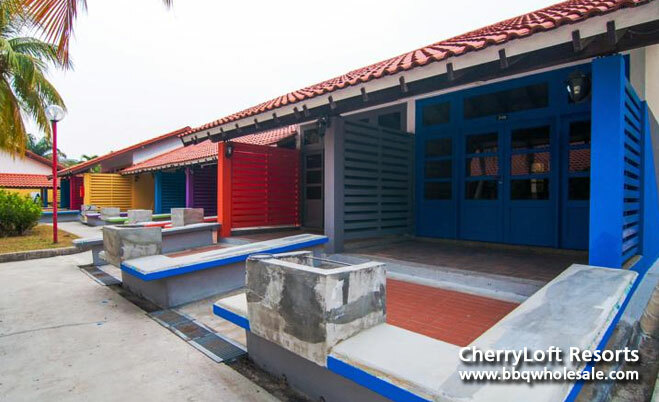 Nestled in the eastern part of Singapore, CherryLoft Resorts offers resort-style living coupled with modern amenities, located next to Pasir Ris Park. Not only is the resort seafront, it encompass more than 300 species of flora all around its grounds. There is also an outdoor pool facilites for guest to enjoyin the chalet. Pasir Ris Park is a charming and tranquil park that offers modern park activities such as pony rides, water sports, cycling, inline skating and barbeque rental and also features a carefully preserved 6-ha mangrove forest. Boardwalks built into this mangrove forest bring visitors closer to the inhabitants of the mangrove community. Pasir Ris Park attracts many bird enthusiasts and will be able to observe birds from the 3-storey high Bird Watching Tower located within the mangrove forest. Another popular attraction of Pasir Ris Park is the Children’s Playground. With giant space-nets, cableways and innovative play stations, the playground proves popular among both young and old. 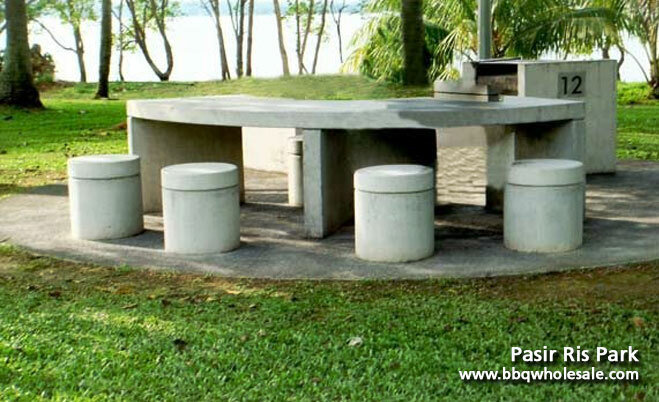 Pasir Ris Park is a great location for family gatherings as it includes many activities for both young and adult. Click here to see our step by step video tutorial on “How to book BBQ pits online“.